It seems like I have not been posting for eternity. Here is one of my crafting projects: it is a handmade vintage frame. And it is a quick tutorial. This was a cheap one dollar store wooden picture frame. I have some vintage white and orange material and I torn it into straps and wrapped the frame with them. I used hot glue gun to attach the fabric straps to the frame. I have also found a vintage photo album. It was 50+ year old. So, I used a piece of its paper for the back of the frame. Then I found some old and vintage photos in my family album. 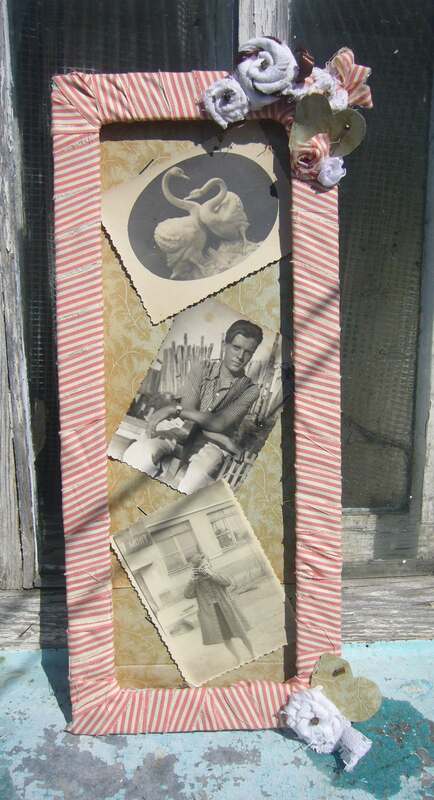 I have used three of vintage pictures for this vintage frame. The top photo contains white birds on it. The lower one depicts my uncle in his youth and the lower photo has my mother’s friend with an old camera in her hand. So, it’s a love story. Two birds in love, a man and a woman fond of him and taking a picture of her loved one. 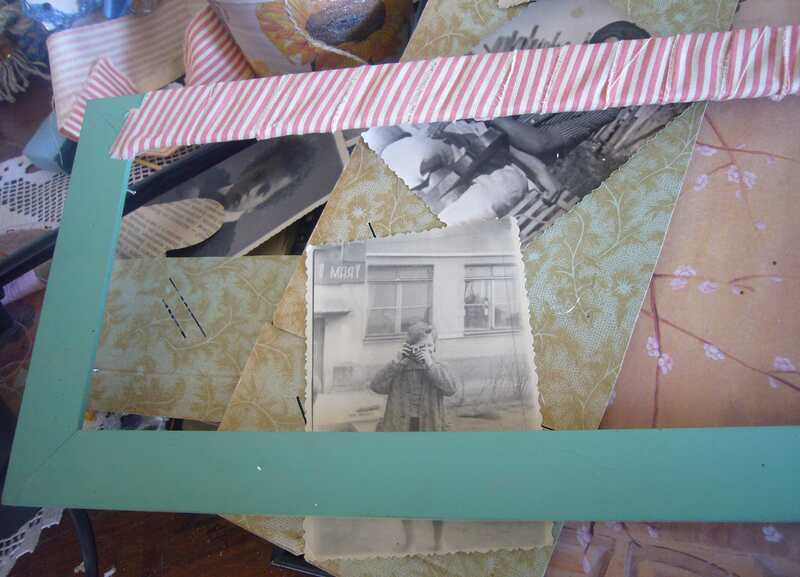 I glued the old photos onto the frame and made few rolled fabric flowers to decorate my vintage handmade photo frame. This entry was posted in Crafting Tutorials and tagged fabric flowers, frame tutorial, handmade, handmade frame, photo frame, rolled flowers, vintage frame, vintage photos, vintage wall art, wall art, wall decor. Bookmark the permalink. Cute frame! Like your orange and white fabric that you used, and the embellishments. Very nice.